← Knicks To Consider Trading Pick? Do you expect Rajon Rondo to ever wear a Mavericks uniform again? “No, I don’t,” Rick Carlisle said. Not that this should necessarily come as a surprise to anyone at this point, but Rajon Rondo’s Game 2 last night in Houston was the proverbial nail-in-the-coffin for his tenure in a Mavericks uniform. Rondo was completely disengaged in the game. Made awful passes, received an eight-second back-court violation with absolutely no pressure on him whatsoever and picked up a foul and technical just 30 seconds into the second half. From that point forward Rondo was basically benched for J.J. Barea and Raymond Felton the rest of the way. 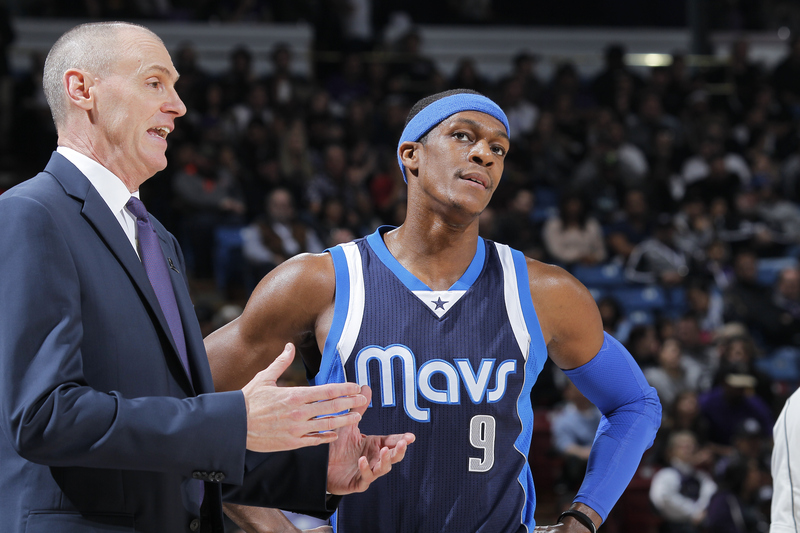 Reports surfaced today that if Carlisle returns to Dallas, Rondo will not. Parting ways with Rondo may be somewhat hard to swallow for the simple fact of trading away their depth and a 2015 first-round pick for an awful rental player, but you can’t get rid of one of the best coaches in the league for someone that’s clearly a malcontent and could be a headache no matter what coach you bring in. I don’t know how much money Rondo has cost himself in the off-season. You would have to imagine it’s a lot. He went from once being a sure max player to now a price tag unknown. But whatever that number is, seeing what has transpired these last few months, the amount is too much to pay regardless. Let someone else overpay for his services and deal with that headache.